BOSS Athleisure Solar Sliders In Black, A single black strap to hold the foot in place which features the signature BOSS HUGO BOSS logo embossed in gold. A textured and contoured rubber footbed in black with a black rubber sole and BOSS branding on the undersole. 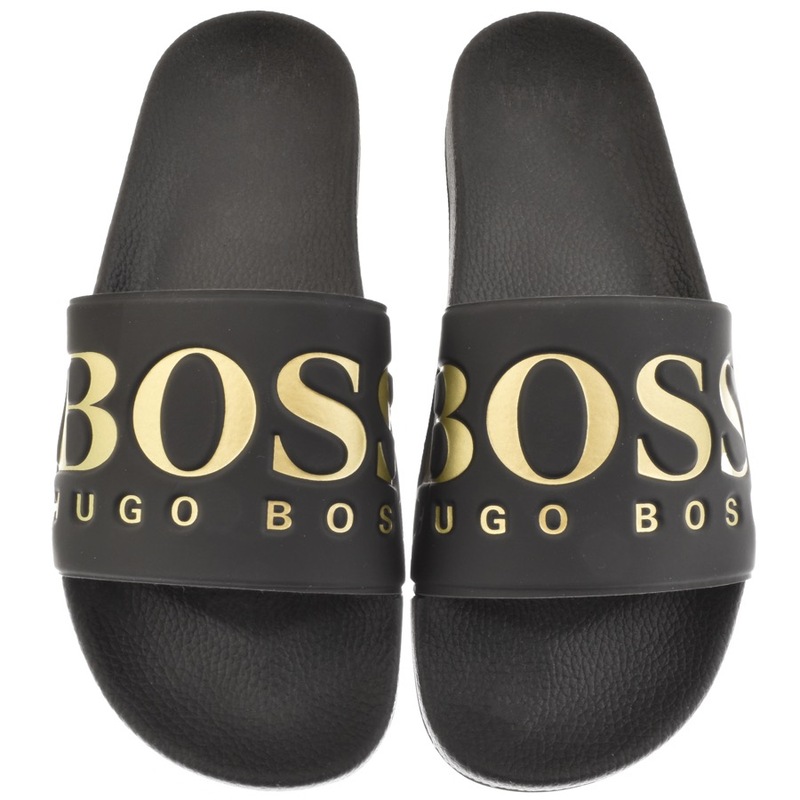 High Fashion And Quality HUGO BOSS Shoes Flip Flops And Trainers Live Online. As mentioned earlier good range of boss clothes and very good prices. Would defo recommend to friends.